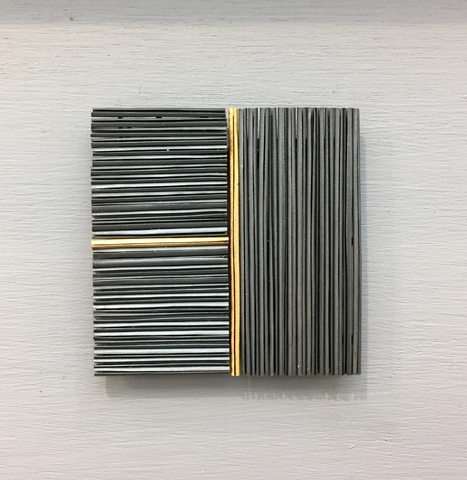 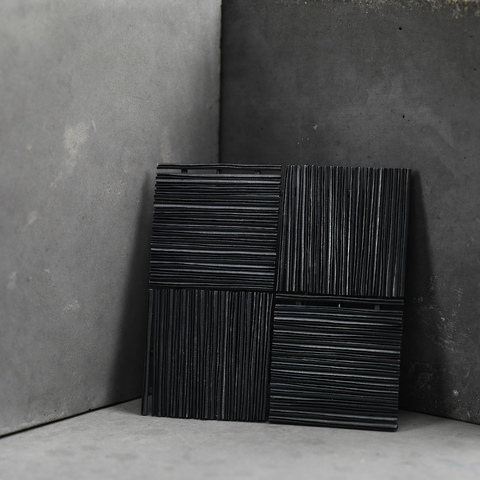 A body of work was designed to exhibit at Collect 2019 continuing my research into kinetic elements, I explored the theme by limiting my dimensions and only making brooches. 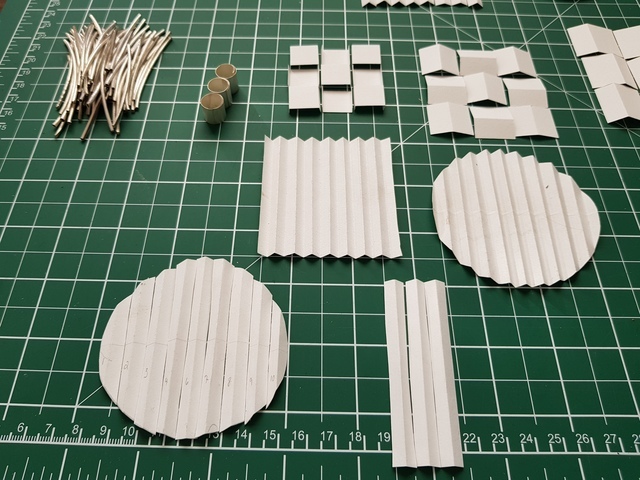 I designed and made 12 brooches to be displayed as an installation. 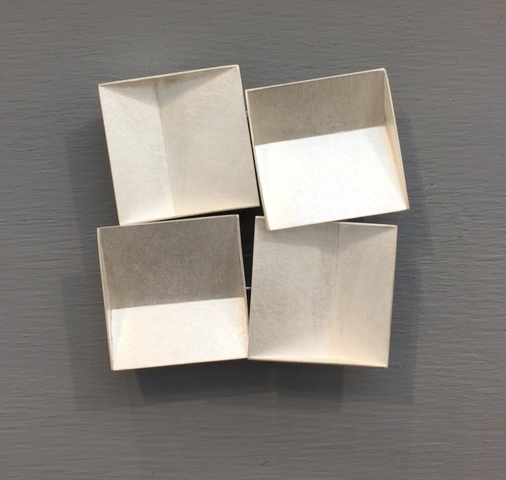 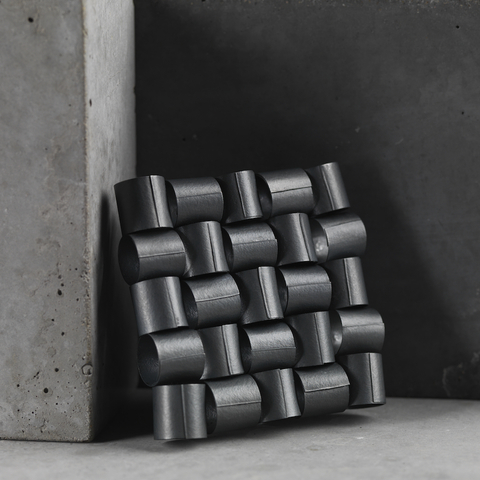 Each brooch measuring 60mm x 60mm exactly and each pieces kinetic or made of repeated units to create a visual movement. 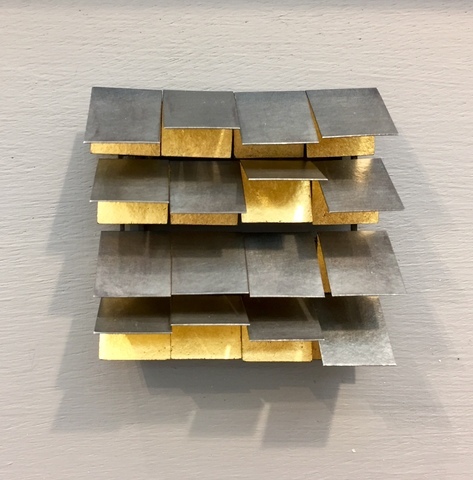 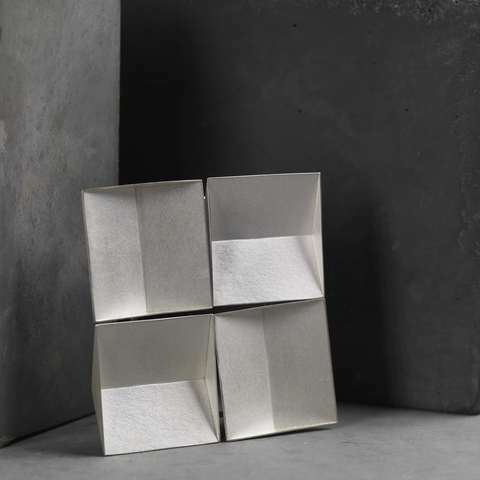 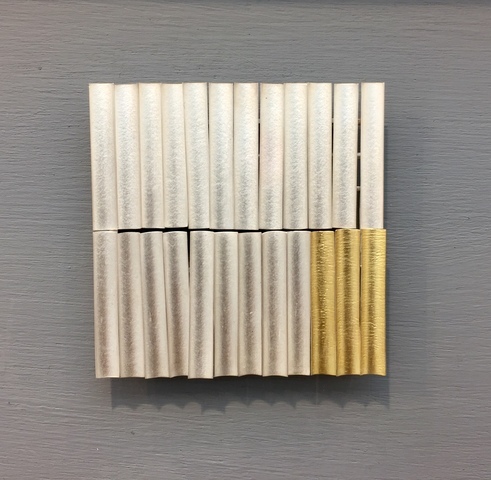 The group of work I exhibited at Collect 2019 was looking at paper as inspiration, the pieces were made of very fine silver and gold sheet fabricated into repeated units that were assembled. 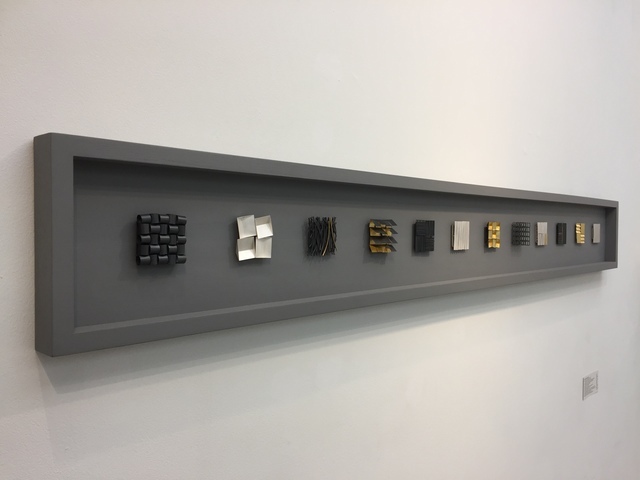 The finished pieces were a curated display of 12 brooches in silver, oxidised silver, gold and gold leaf. 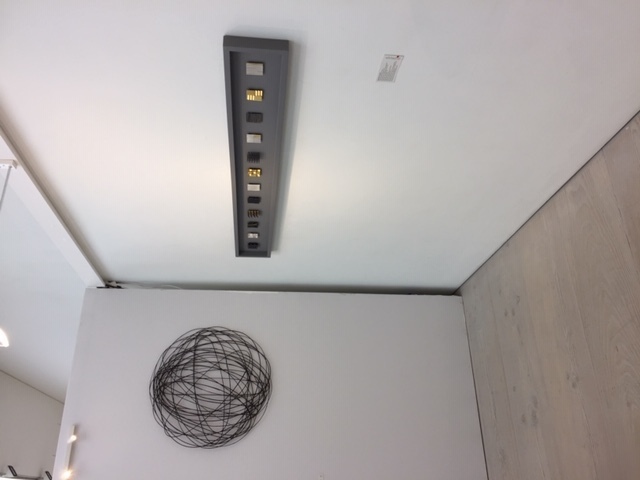 They were displayed in a 150cm long frame and wall mounted. 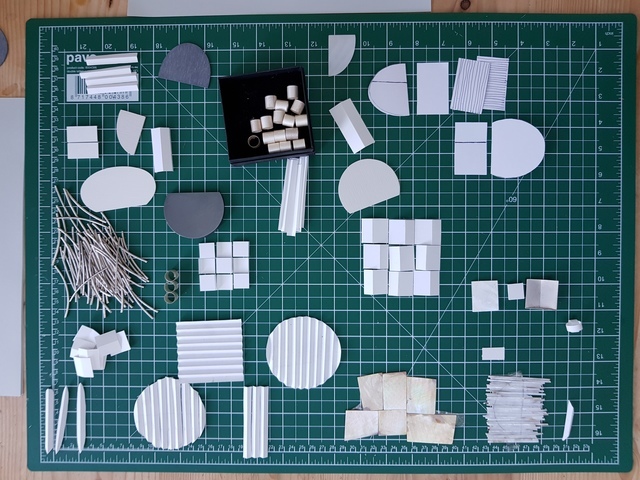 The process of making is a large part of my research. 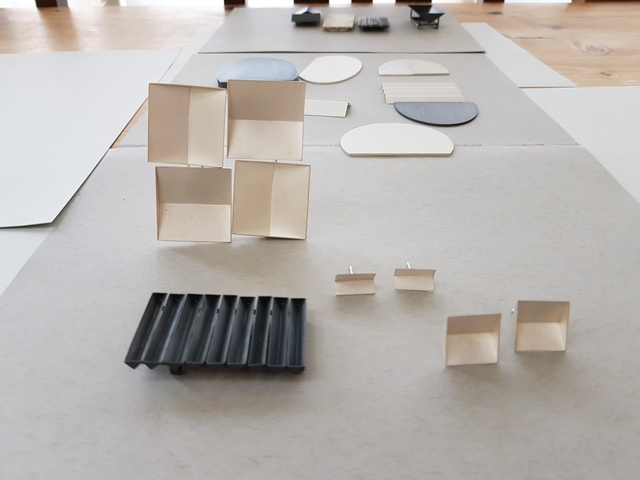 I delivered a talk during the exhibition talking about process. 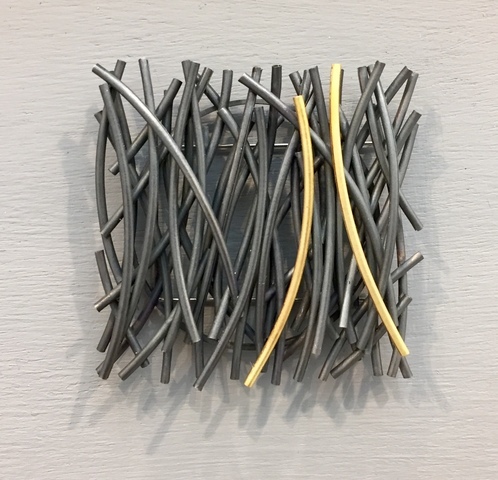 I did this in discussion with willow artist Lizzie Farey. 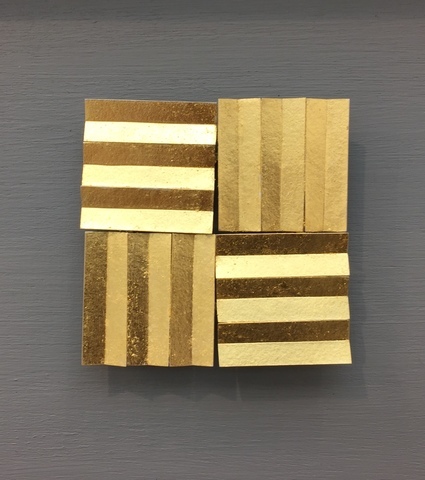 Collect 2019 occupied the Saatchi Gallery for four days with 45 galleries - the largest number of participating galleries in the fair's history - selected by an independent panel of experts.